In our FAST class, we've been talking quite a bit about neuroscience and visualizations of brain activity as of late. Tod pointed us towards this book called Portraits of the Mind, which was recently reviewed in the NYTimes. 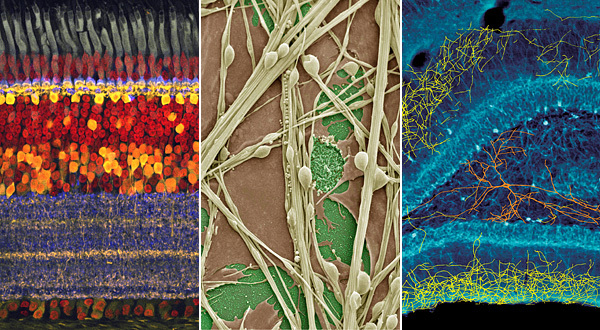 It is a history and collection of brain visualizations, revealing both the beauty and wonder of our own hardwiring. Sort of makes me want to be a neuroscientist... but I'll settle for having friends who are and for thinking of installations that creatively use this imagery.